Rare first edition of John Williams’ first book. Octavo, original cloth. Near fine in a very good dust jacket with light rubbing and wear. Jacket and book design by John Williams. Scarce and desirable. Best known for his later novels Butcher's Crossing, Stoner, and Augustus, American author and professor John Williams wrote the first draft of his first book, Nothing But The Night, while enlisted as a sergeant in the United States Air Force in India and Burma. 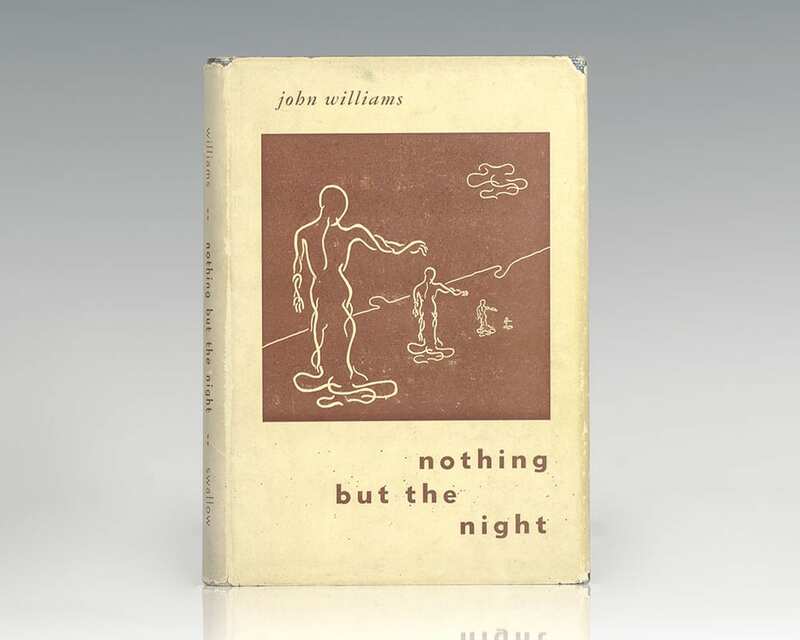 The story of a tense and listless man in perpetual reaction to a childhood trauma, Nothing But the Night introduced Williams' unusual and interesting voice to the literary world prior to his tenure as an English professor and presentation of the National Book Award in 1973. New York: The MacMillan Company, 1960. First edition of Williams’ second novel. Octavo, original cloth. 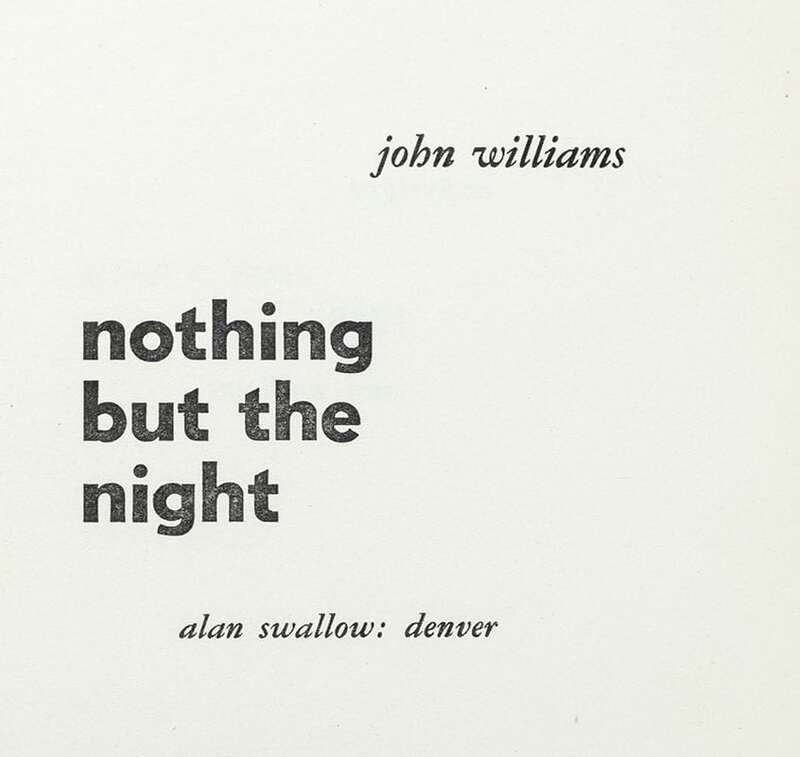 Presentation copy, inscribed by the author on the front free endpaper, “For Mary Beth and Ed Twining, with much affection- John Williams.” Ed Twining was an English professor at The University of Denver, where John Williams also taught and was the director of the creative writing program. The two were lifelong friends. Light rubbing, near fine in a near fine price-clipped dust jacket. Jacket design by Gilbert Etheredge. Housed in a custom half morocco clamshell box. A nice association. First edition of the author’s classic work. Octavo, original half cloth. Presentation copy, inscribed by the author, “Happy Birthday to Jason from Sheila and the author- John Williams.” Near fine in a very good price-clipped dust jacket with some toning to the spine and a few small closed tears. Jacket design by Ellen Raskin. Housed in a custom half morocco clamshell box. Examples of Stoner are uncommon signed and inscribed. New Yokr: The Viking Press, 1972. First edition of the author’s National Book Award-winning novel. Octavo, original cloth. Signed by John Williams on the half title page. Fine in a near fine dust jacket with a touch of rubbing. Uncommon signed. The Theory of Investment Value. Amsterdam: North-Holland Publishing Company, 1964. Later edition of the author’s groundbreaking work. Octavo, original wrappers. 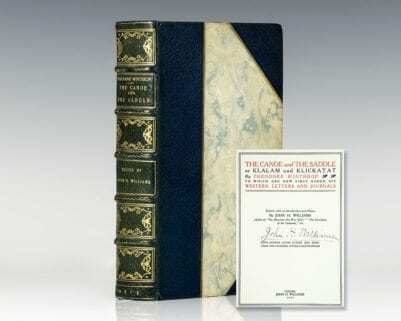 Inscribed by the author on the front free endpaper, “To Kimun Lee with the compliments of the author John Burr Williams.” In near fine condition. 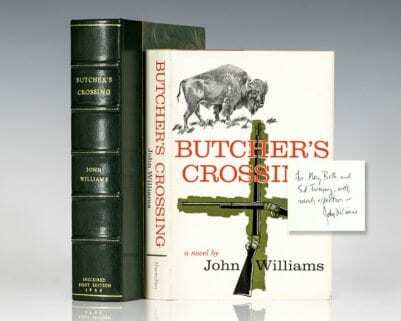 Books signed or inscribed by Williams are rare. First edition of the author’s classic work. Octavo, original half cloth. Presentation copy, inscribed by the author on the front free endpaper, “For Stella Hershan with best wishes- John Williams Bread Loaf, VT Aug. 23, 1969.” Fine in a excellent dust jacket with a few small closed tears. Jacket design by Ellen Raskin. Housed in a custom half morocco clamshell box. 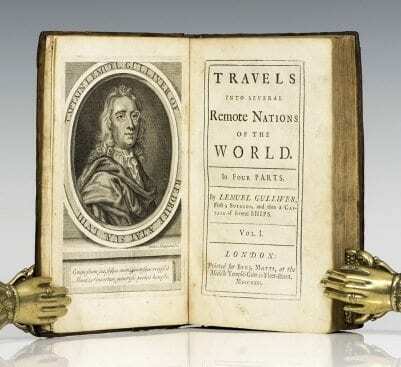 A very nice example, uncommon signed and inscribed.